"... For me to understand the individual I need to spend time with him. Unless you know the individual it's very difficult to advise that individual as to what he needs to do. And also the fact that you get to get inside his mind because everybody is different." Giving an endoscopic peek into the little details of his minimalist approach to leadership, Mahendra Singh Dhoni has said there is "nothing called common sense" in cricket and spoke about how he would look to break the ice with his team-mates, as captain. On his 37th birthday, Dhoni talked about his learnings and philosophies as a leader of the national team. For India's most successful captain, the biggest challenge during his captaincy was instilling "common sense" in some players without hurting their egos. "The biggest learning during my tenure as a captain was, that a lot of time, I used to think that this is common sense. But no, there is nothing called common sense. You think, 'Oh, I don't need to say' or like 'Yeh batane ke cheez nehi hai', but in a team environment, you need to say," Dhoni told Star Sports in an interview telecast on his 37th birthday. He spoke about how different players reacted differently in match situations and when the leader needs to step in. "There will be a few who are intelligent and they will be like 'Areh yeh kya bol raha hai, yeh zaroorat nahi hai' (Why is he telling this, we know this). But it's not for them. They can figure things out. "It is for the person who does not understand. But, at the same time, it is very bad to address it to one person, because then he will know that 'accha yeh toh mujhe hi bol raha hai' (Okay he has singled me out)." 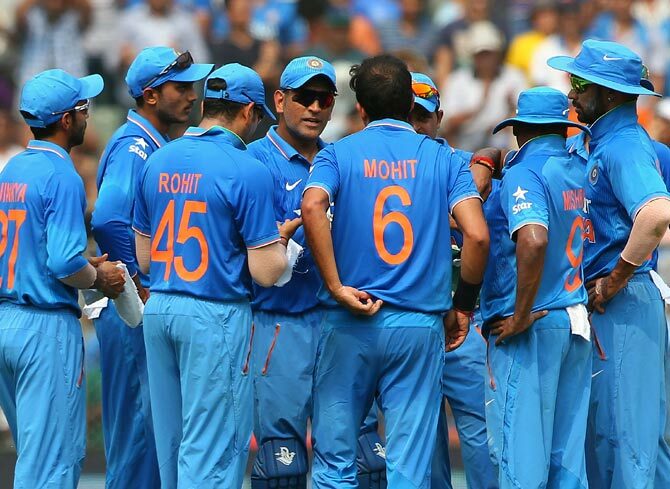 Dhoni's minimalist approach has often resulted in maximum benefits for the team. "We try to spend time in an environment where you feel very comfortable. You need to break that ice, unless he gives me his feedback, unless he talks to me I won't really know what is going around in his mind. Another issue he finds sensitive is to explain to players their omissions from the playing XI. "I personally felt that in a team environment, the biggest problem was answering questions like 'Dhoni, what is the reason for which I'm not playing the matches." He then repeated his Harbhajan Singh-bike analogy, which he used prior to the IPL finals against Sunrisers Hyderabad. "Just before the finals, at the press conference, this guy asked me, ‘Harbhajan Singh was there and he didn't bowl a single over. He is such an experienced player.’ And I had to give an answer." "And I said, 'You know I have so many bikes and cars in the garage and I take the ride out, according to what I need. Like, if it's raining, I'll take the car and if it's not, then I'm happy with the bike. So, if I needed Bhajju Bhai at some point of time, I would have made him bowl. "I had like seven bowlers. Raina didn't bowl a single over in this IPL. So, at times, when you don't need that particular bowler, why to make him bowl?" His reticent mannerisms and measured celebrations are well known in the cricketing circles. Whenever India won a tournament under Dhoni, he would disappear in the background soon after receiving the trophy. Asked about it and he gave a reply that will make anyone sit back and think a little. "Well, don't you think, it is unfair that you play a team sport where the captain goes and receives the trophy? It's like an over exposure. Let's say that you already have an over exposure of like 15 seconds and after that I don't really think that you are needed to be there. Of course, we all like the celebration and you want to be part of it. But it's not like that you have to be with the trophy," Dhoni said. "That's why, in a team environment, we try to make it as simple as possible. And as I said, 15 seconds of over exposure has already happened, so no point clinging onto the trophy. Also, maybe if you don't spend enough time with the trophy, you get a chance or you want to win another one so that you get another of those 15 seconds," he added.